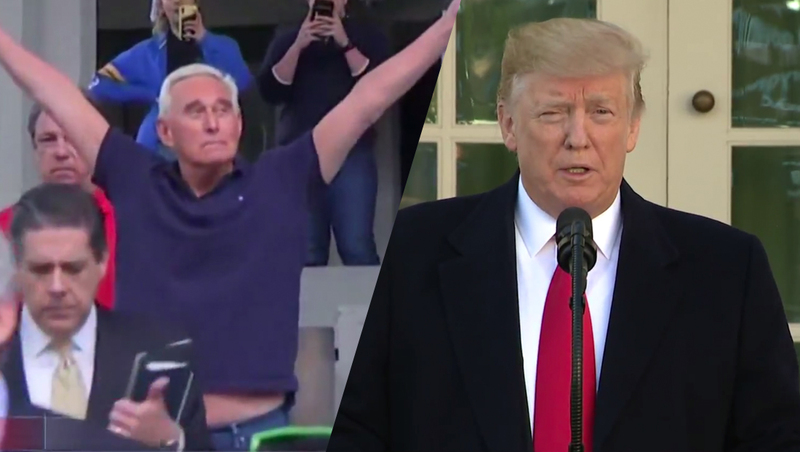 With the day starting with news of the arrest of Roger Stone and winding toward an afternoon announcement of a temporary agreement to end the government shutdown, the network newscasts were stuck with another heavy day of news on a Friday. 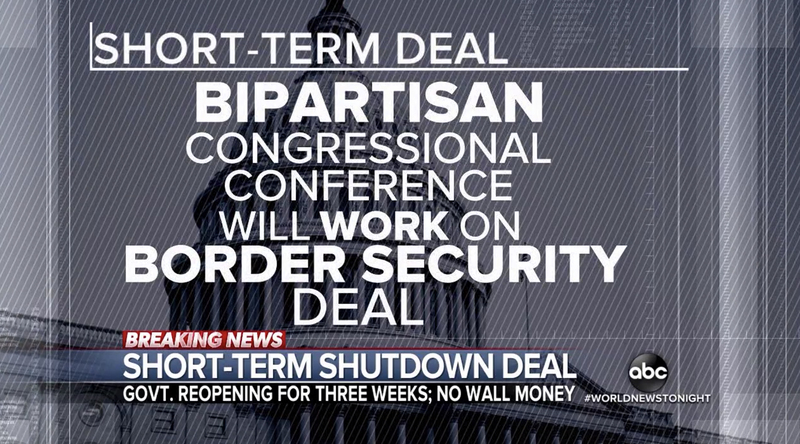 All three major newscasts lead with the more recent story — the deal to end the shutdown. 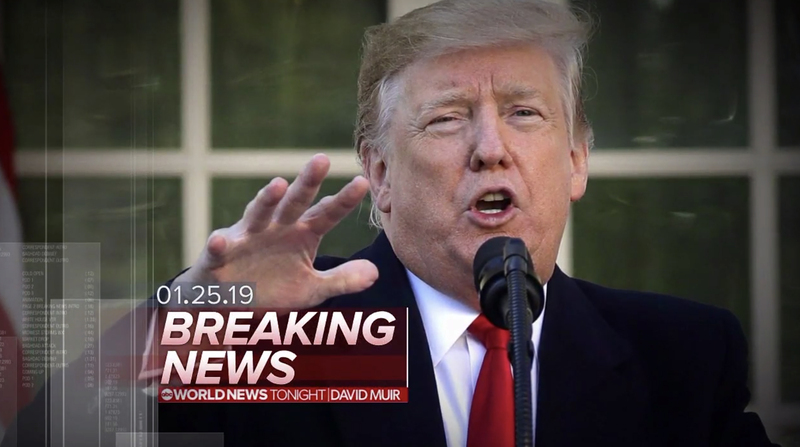 ‘ABC World News Tonight‘ used its breaking news banner for the top story. 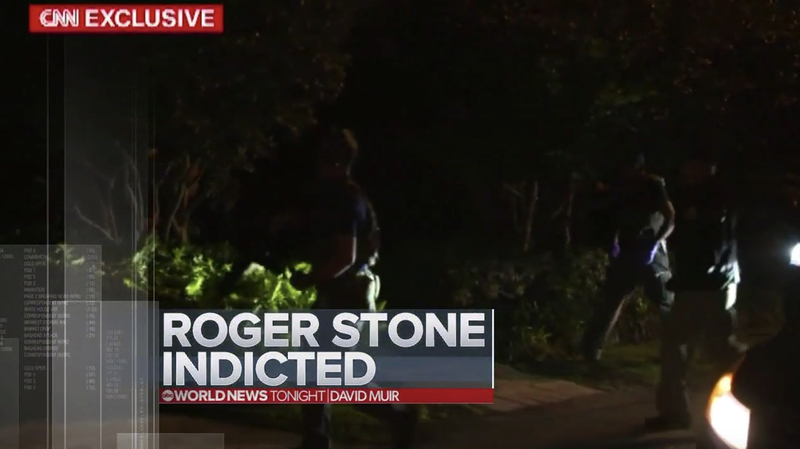 The second tease was ‘Roger stone Indicted’ which played over a recording of CNN’s exclusive video of outside Stones’ Ft. Lauderdale home. Anchor David Muir originated from his normal New York City studio with OTS graphics shown on the curved video wall behind him. The shutdown package included this list of key points of the agreement. 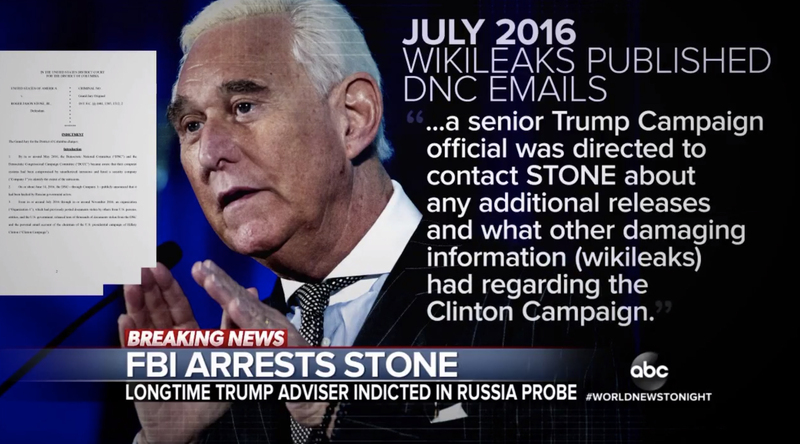 Meanwhile, text from the indictment was displayed on screen next to imagery of stone and flat graphics of the legal documents.